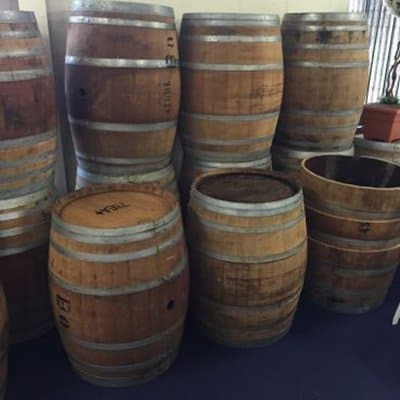 French Oak wine barrels used by Australian Wine makers, these barrels have been resold after fermentation life has expired. 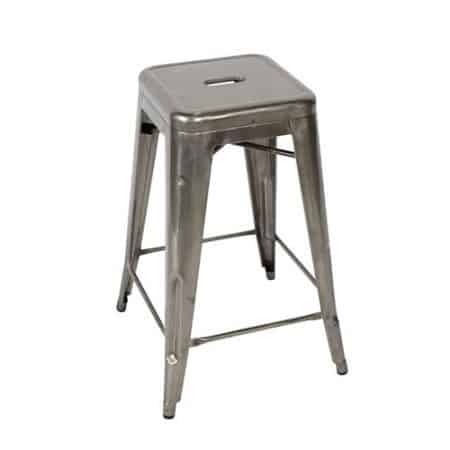 An extremely popular item for rustic and boho themed events. 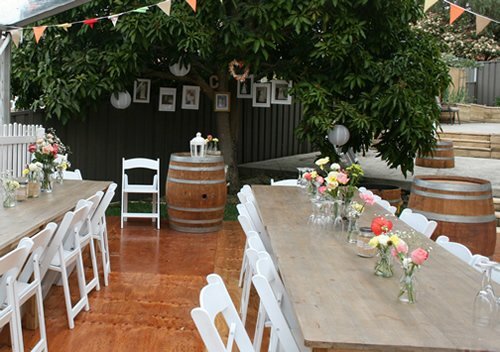 These authentic wine barrels can work as an ornament for you function, a cocktail table, a cake table or a signing table at your wedding. Place them strategically in and around your function in places you wish to see your guests mingle and congregate. 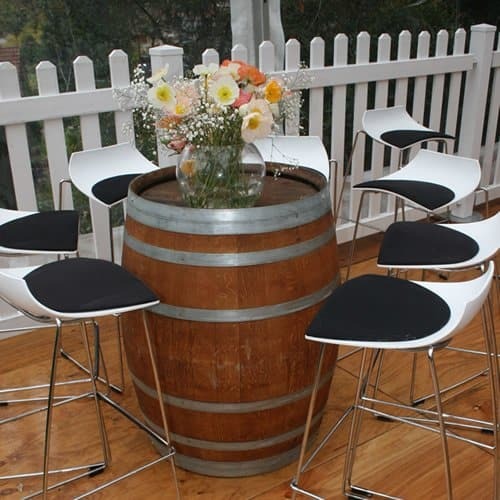 With or without stools, 1 wine barrel is large enough to cater for up to 5 or 6 guests at one time. 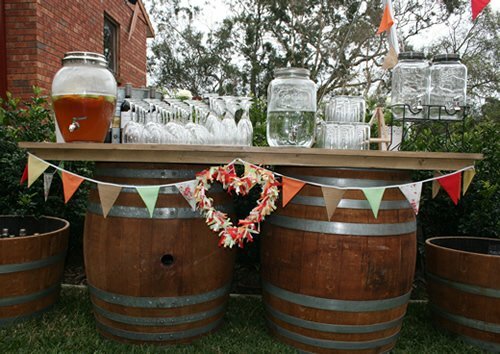 Let our genuine, wine barrels add a rustic decor to your next event, or party. 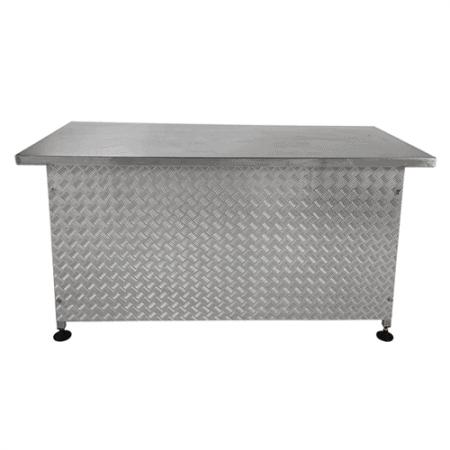 They make ideal tables and bars for your guests to gather around and enjoy the party. 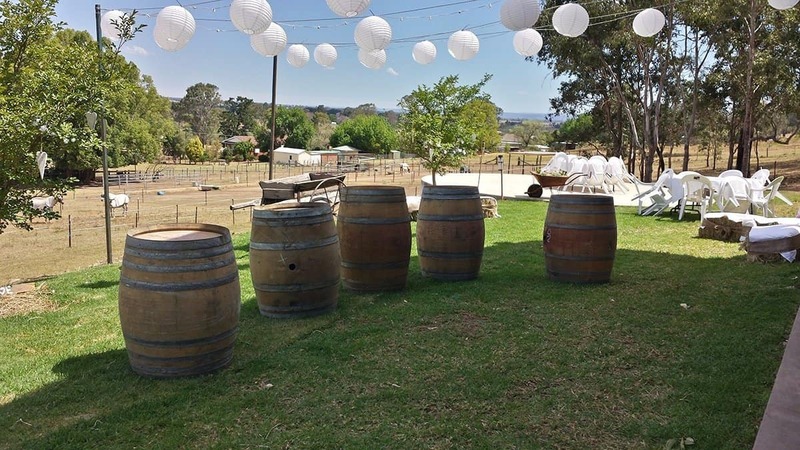 If you have decided to throw a party and you want to make it exquisitely themed and memorable, we are here to supply you with retired wine barrels that will impress and keep your guests fully engaged throughout the event. 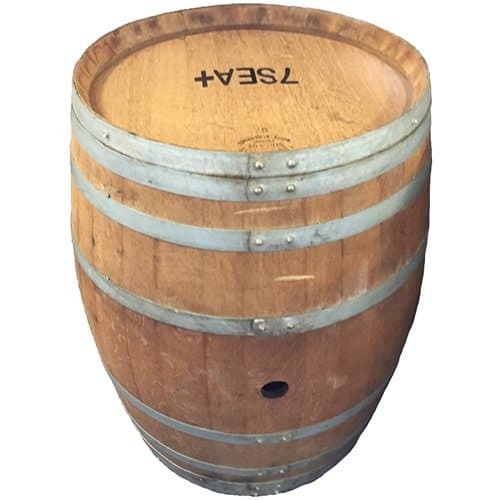 Our barrel bars, half barrels and whole wine barrels are handpicked for looks and design. We always ensure each of the barrels in our for-rent stock is high quality, and a consistent shape and colour. Please take some time to browse our list of products to help you plan your event. If you cannot find exactly what you are looking for simply call 02 9533 4429 and ask our helpful staff.